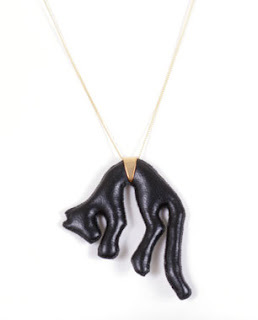 I love the combination of materials, but I mostly love it because I have a little black cat and this would be like wearing her around my neck (only safer). It's $280, which is a little more than what I'm used to spending on items of jewelry for myself, but I like it enough that I might do something crazy. It's available at Refinery 29.